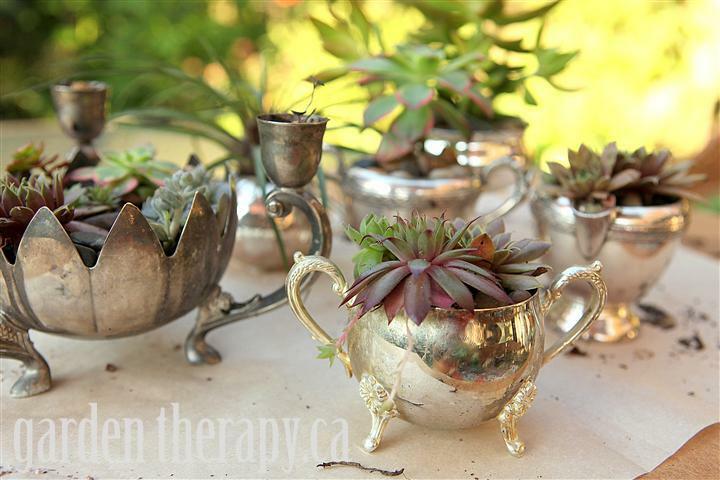 Needing very little more than a tiny bit of soil, bright light and some benign neglect, succulents grown in rustic salvage, in wreaths or table centerpieces, mosaics will remain the backbone of your display all season. 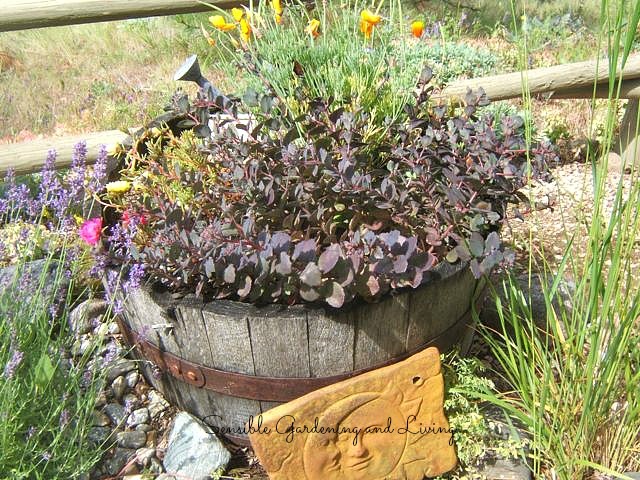 Start now, and have lots of interesting containers for your deck, in the garden as focal points, or even hanging on the fence. There is almost no limit to their versatility. 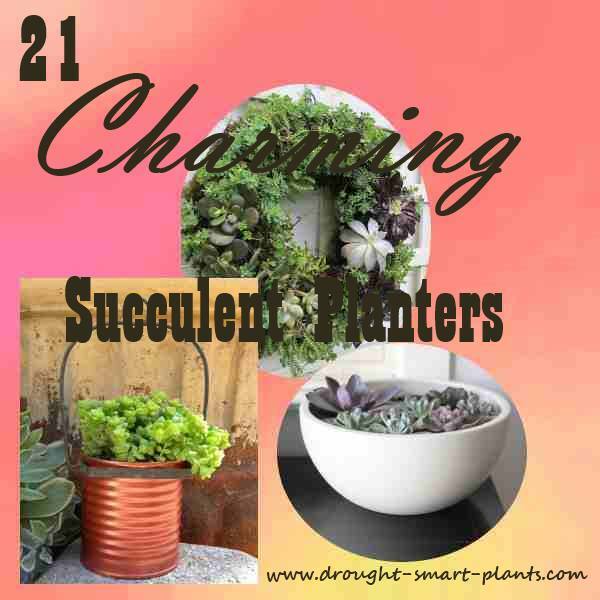 There are many shallow dishes and other unusual kitchen items to use for planters - just because they've outlived their usefulness in the kitchen, doesn't mean you can't give them yet another life as a succulent container. 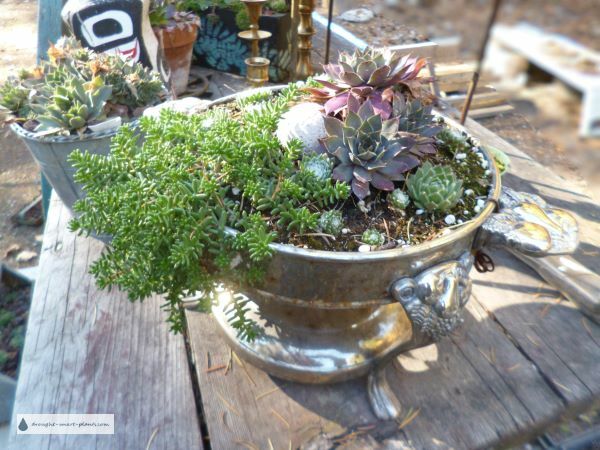 This chrome chafing dish has good drainage, and contains just the right amount of soil for Sempervivum and Sedum. 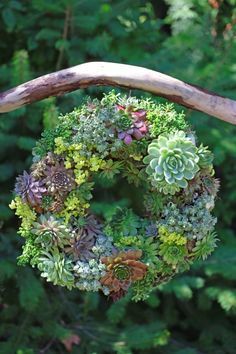 Garden Therapy gives a full out tutorial here on this amazing Semper-viva Wreath. 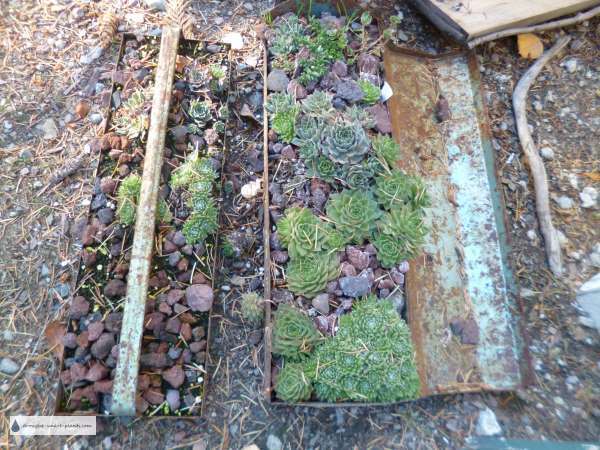 Tool boxes can be recycled too. 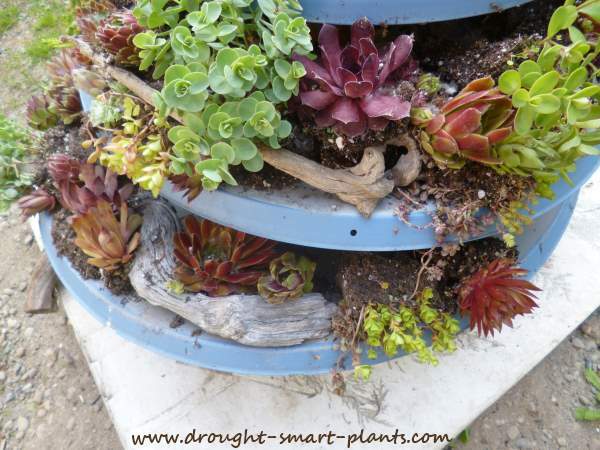 Old metal ones are best, planted with shallow drought tolerant plants. 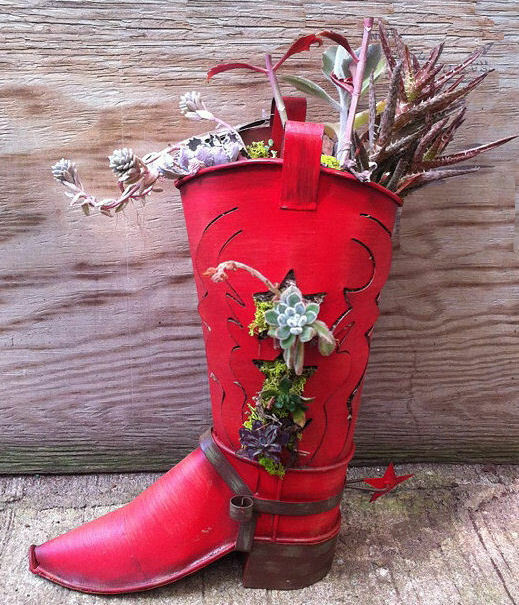 Mulch them with lava rock or pebbles, or decorate them with some old screwdrivers!